A stage production of Haydn’s 1798 oratorio “The Creation” by La Fura dels Baus, an experimental theater group from Spain, will have its Korean premiere at the Art Center Incheon on March 1 and 2 at 5 p.m. The production will kick off the center’s 2019 season. The Barcelona-based theater troupe is known for its innovative performances that mix modern technology with classical music. For Haydn’s masterpiece “The Creation,” the troupe will portray the Biblical seven days of creation with visual art installations. For example, Adam and Eve will be submerged to their necks in a water tank. Choristers will hold up iPads depicting images of changing landscapes. In some scenes, they will hold helium-filled balloons. Soprano Im Sun-hae will sing up in the air, suspended from a crane. She participated in the staging of the production in Hamburg, Germany, in 2017, and has high expectations for the Korean premiere. 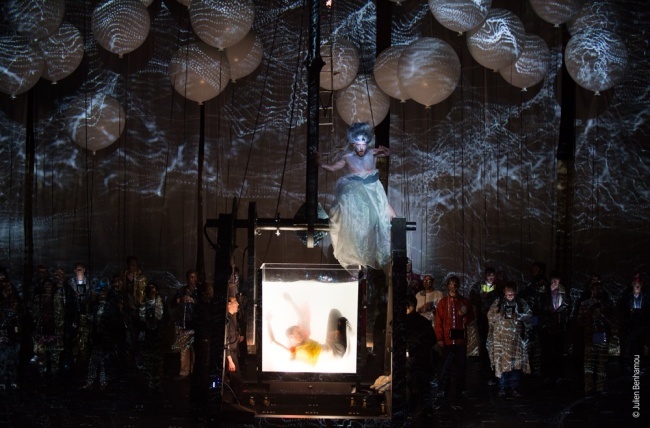 “‘La Creation’ by La Fura dels Baus, performed without intermission, was a fresh shock, opening new doors to how this music piece can be expressed on the stage,” she said. Along with Im, bass-baritone Thomas Tatzl and tenor Robin Tritschler will perform as soloists. Camerata Antiqua Seoul and Grande Opera Chorus will perform under the baton of conductor Kim Sung-jin. La Fura dels Baus had participated in the street arts event Hi Seoul Festival in 2011 and 2012. Tickets can be reserved via online retailer Interpark. 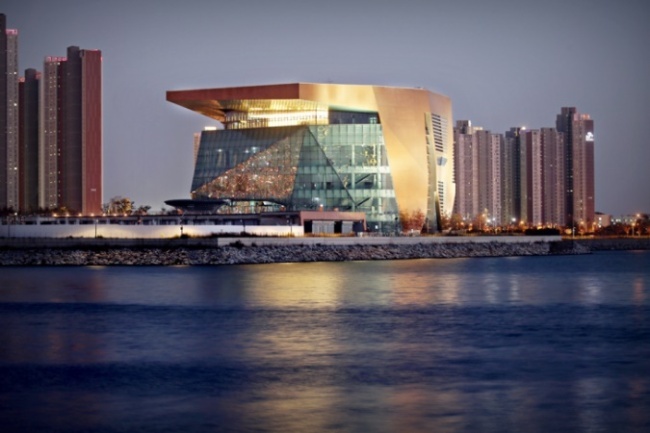 For more information, call Art Center Incheon at (032) 453-7700 or visit its website.